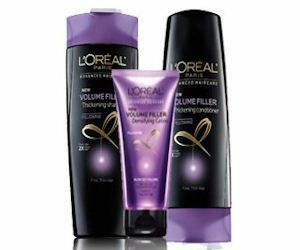 FREE L'Oreal Shampoo, Conditioner & Treatment Sample Pack! You are here: Home / FREEbies / FREE L’Oreal Shampoo, Conditioner & Treatment Sample Pack! FREE L’Oreal Shampoo, Conditioner & Treatment Sample Pack! Get your FREE L’Oreal Shampoo, Conditioner & Treatment Sample Pack! Request a FREE 3-piece sample pack of L’Oreal Advanced Hair care! Each sample pack includes a free shampoo, conditioner and treatment sample. Valid for the 1st 656,000 to sign up or through 12/31/16 while supplies lasts.